Wiz Khalifa and Ty Dolla $ign recently delivered their collaborative single "Post Up," and now they've dropped an additional four collaborations. The five-song Talk About It in the Morning certainly gives us something to talk about this morning as the duo deliver track after track of smoked-out pop rap. 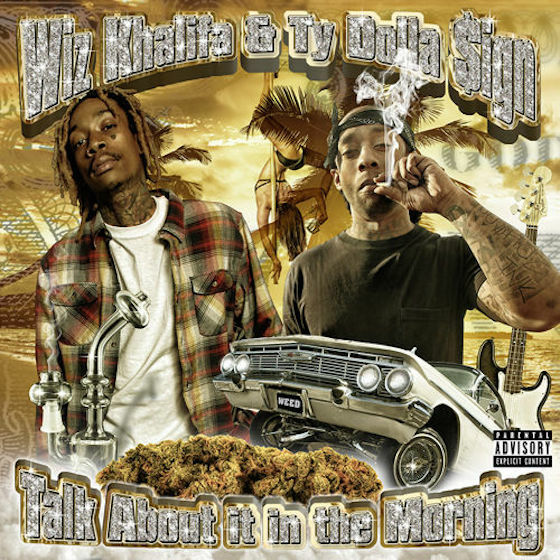 With lush production and solid efforts from both Wiz and Ty, it's a solid release. Listen to Talk About It in the Morning below.